Could Cory Doctorow's Little Brother Become The Next Hunger Games? Hollywood’s appetite for YA dystopian thrillers isn’t dying down anytime soon. 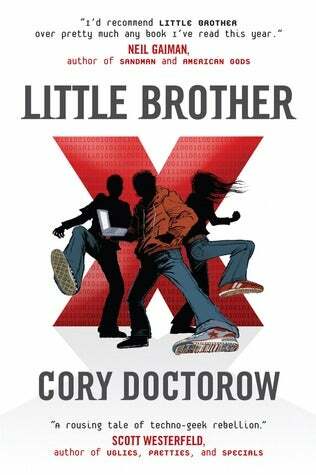 According to Deadline, Paramount Pictures has picked up Cory Doctorow’s novel Little Brother for a potential franchise. The novel, released in 2008, follows 17-year-old Markus (also known as w1n5t0n), he he and his friends are caught in the aftermath of a terrorist attack in San Francisco. They’re captured and interrogated by the Department of Homeland Security, and when they’re released, they find that the country has been turned into a police state. Doctorow released a sequel, Homeland, in 2013, and more are apparently expected. This makes a bit sense to me: with major YA dystopian franchises like The Hunger Games and Divergent coming to a close, studios are going to be looking for the next best thing. As Doctorow’s website notes, this adaptation is looking to fit between the “the Bourne series, the Divergent series, and the acclaimed BBC anthology TV series Black Mirror.” Moreover, with multiple installments, this series has all the right elements to succeed The Hunger Games. Also, if the book looks interesting to you, Doctorow has released the both books online for free.